Best Cheap and Cheerful Earbuds that won’t cost you the earth in 2019! Earbuds can transform your listening experience and put you right in the middle of the performance or they can introduce artifacts and ruin your listening pleasure. The earbuds you choose say a lot about what you value, and choosing a poor quality set of earbuds is going to leave you looking for your next set within a week. There are plenty of good buys for under $100, and we’ve reviewed the top ten best earbuds under $100 options for you. When looking at earbuds, many people mistakenly put too much value on the specs. The Frequency Response range is only one factor in how well your earbuds will perform, you also need to consider whether the earbuds have a dynamic microdriver, the types of acoustic seals, and the materials that the housing is made out of. These factors contribute more to your listening experience than the specs on the back of the box. There are plenty of earbuds with specs that look good on paper, but fail to perform at even a mediocre level. You can have specs that state the earbuds have a frequency response that spans the entire range of human hearing, but if the sound is not consistent throughout that range or some registers are more pronounced than others, the frequency range means nothing. 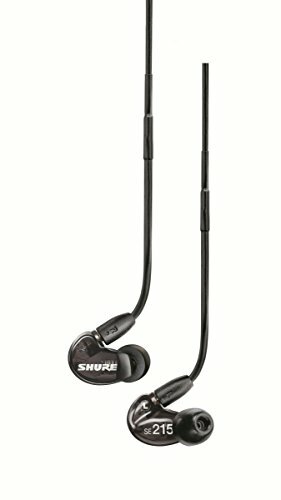 Shure is one of those big-name professional audio manufacturers that occasionally dips into the consumer market to deliver something for the masses. 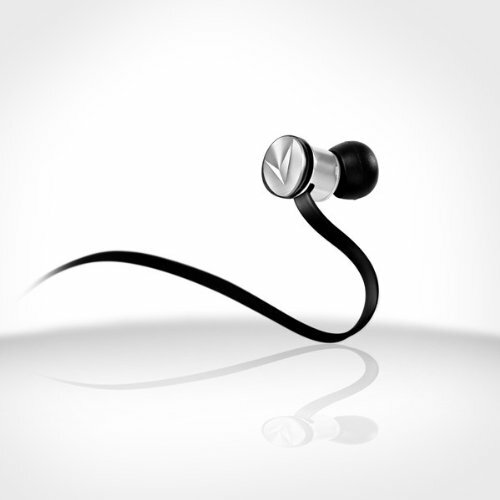 The earbuds use the same high-quality materials as some of their more expensive models, but with a lower price tag. 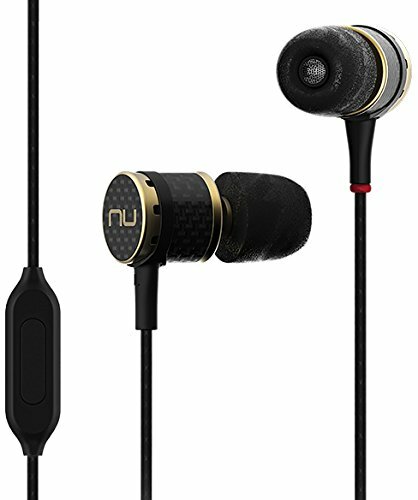 If you’re looking for a good set of earbuds that eliminate outside noise, these earbuds are a great option for you. These may not be the best earbuds for a runner or cyclist who needs to stay aware of what’s going on around them. These are intended to cancel outside noise, so you can have a totally immersive audio experience. The earbuds also come with multiple sleeves, so you can get the perfect fit. When it comes to Bose, it seems you either love them or hate them. Bose is a well-known manufacturer, and many of their products are a bit pricier. Of course, you also get an outstanding warranty and great customer support from Bose, so this is an instance of getting what you pay for. Their in-ear headphones are both affordable and high-quality. You’ll get a full range of tonally balanced audio from the very top to the bottom of the register. The eartips are designed to stay in place, and these make a good option for people who exercise with their earbuds. There is a certain amount of noise cancellation, but not enough to prevent you from paying attention to your surroundings. Another nice thing about these earbuds is that they are constructed of highly durable material, but maintain a very lightweight structure. Marshall is another big name in professional audio. These headphones are right on the edge of our budgetary limits, but they are perhaps one of the greatest values for our price range. They come with 9 mm drivers, which provide you with plenty of power and sound. Ideally designed for those who listen to a variety of music, there is an EQ switch that allows you to change the audio quality. Select from deep basses or brightness on the high-end. You’ll get deep, rich basses and a warm sound all the way around with these earbuds. These earbuds are also ideal for those who want to be able to take phone calls and control the playback on supported devices. Click once on the control housing and you’ll be able to answer and end phone calls or stop and start your music. Click twice and you’ll advance to the next track. If you click three times you will go back to the previous track. The earbuds come with four pairs of ear tips, so you can get the perfect fit depending on your needs. These earbuds really perform, and will leave you impressed with the fully immersive sound and presence. It’s unusual for a set of earbuds to have such good components at an affordable price. The earbuds feature neodymium HD acoustic drivers for outstanding sound response, and a hefty, deep bass response. There is also a remote control and a hands-free microphone included on the cable. Three pairs of ear tips are included so you get the best fit from your earbuds. The smooth texture of the tips work well to stay in your ears, and users have reported these are some of the best fitting earbuds on the market. The earbuds have a very smooth sound, and there is a good sense of dimension with these earbuds. If you’ve ever put on earbuds and felt like all the music was just plastered up on a two-dimensional wall, then you’ll understand why space is so important. If you don’t like bass-heavy headphones, these earbuds may not be right for you. The middle of the sound is a bit weaker than the other frequencies, but many people actually prefer the type of sound that these earbuds produce. These really take you into the performance. Another positive about this brand is that if you experience any issues with your earbuds, you can contact the company and get a repair or replacement. There is a lot to love about these earbuds. They are noise-cancelling, so you want to avoid using these if you’re walking near traffic or in other situations where you need to stay aware of your surroundings. However, for those who want a good set of earbuds for the bus, lounging around the house or talking a walk around the neighborhood, these earbuds may be the ideal option. They are made from high-quality materials that are built to last, and the thicker cable prevents the twisting and tangling that occurs with other thinner cables. The earbuds also come with phone, playback and volume control. The earbuds are ideal for the bass lover. In fact, this is one of the best set of earbuds for a good, high-quality bass. As a company, Velodyne is well-known for their bass. 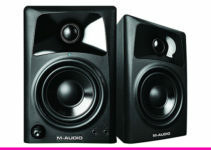 They provide a very clear, non-muddy bassline that doesn’t affect the mids and higher range sounds. You’ll still get clear mids and treble with this set, but some may find the bass overpowering over a long period of time. These earbuds are a bit heavier than most other earbuds, and they aren’t going to work well if you’re moving around a lot. The heavy construction can cause them to fall out if you’re moving around too much. 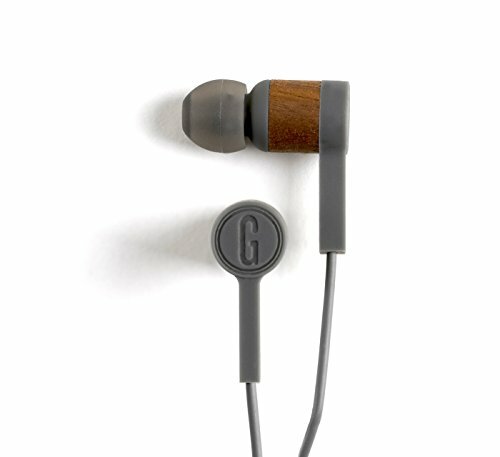 These earbuds offer a stylish way to listen to your tunes and are made of solid wood grain. 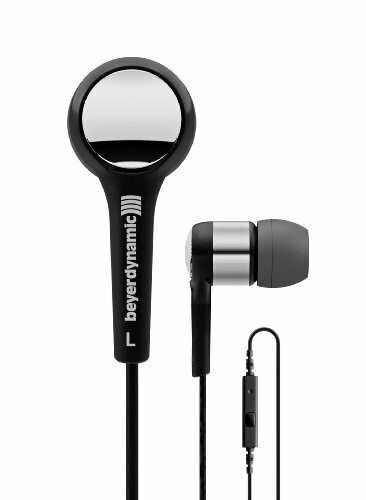 The earbuds use two, 8mm loudspeakers with a Neodymium and CCAW voice coil. Essentially, this all boils down to amazing sound and substantial response. A secure fit is possible, provided you don’t have large ears. These headphones work well for people with average=sized to small ears. When the earbuds are too small for your ears, you run the risk of losing some of the lower frequencies. The bass is intense, but this doesn’t mean it’s overpowering. It’s loud, and if you turn the volume up all the way, it will seem like your standing next to the subwoofer ata concert. However, there are still good highs and middles, so the bass doesn’t subdue the other voices. In general though, if you don’t like a substantial amount of bass, it’s recommended you give these earbuds a pass. You may be unhappy with just how strong the bass actually is. Overall, these are a good set of earbuds with conversation appeal. One thing you need to know about earbuds is that when they have a volume control, they are going to be designed for either iOS or Android. It’s extremely rare to find a pair that can work on both types of smartphones. This model is for people who have an iOS device. 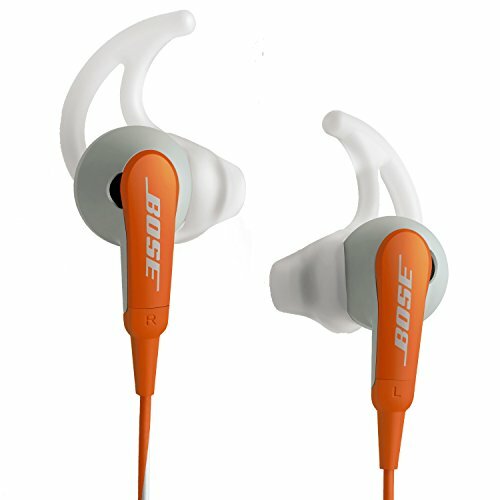 These are an exceptional value, and they are designed to work well for people who want optimal sound while running. They do not provide noise cancellation, which is a plus for people who need to remain aware of their surroundings. One nice feature of these earbuds is that they come with a Reebok fitness band to hold your audio in place while exercising. If you’ve ever tried running while holding your phone, you know how much of a pain that can be. The device has good-quality tips that won’t fall out while you’re running. The audio is balanced and crisp, and it comes with crisp highs and deep, strong lows. 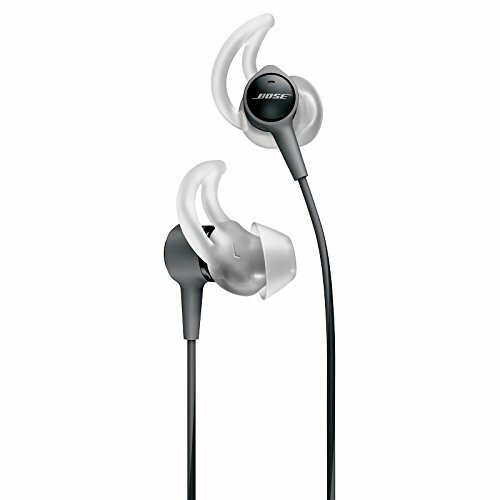 The earbuds are also sweat and weather-resistant to ensure a long and active life. 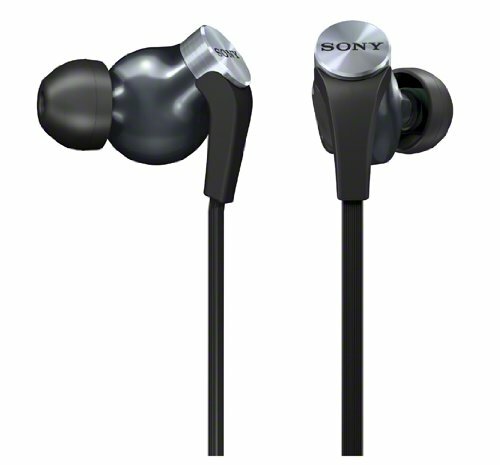 Sony is another good manufacturer of audio equipment, and they gear their selections to the consumer market. This is actually a good thing, and many people don’t realize that “consumer” doesn’t necessarily mean inferior. Professional audio equipment is designed for audio experts who know how to tweak and manipulate audio to their exact specifications. When you want a set of earbuds that just work out of the box, the consumer option is the way to go. These are high-quality earbuds that are actually a direct from Japan import. They feature a 16mm driver, which is much larger than many of the other drivers reviewed. One of the nice features is an angled duct that helps to provide clear, direct high-range sound. It also comes with a tangle-free serrated cord to avoid the issue of messy wires. These earbuds are extremely comfortable and are designed to stay in place. This set is perfect for long and prolonged listening sessions, and they design can actually make your music sound better. Another favorite is the NuForce superior-performance earbuds that are designed to give you superior sound across the range. They come with an inline remote and mic that can be used on most smartphone models. They feature a titanium coated driver that helps to promote outstanding sound and deep, powerful bass. The driver is on the larger size at 8.6mm, and it use a lightweight voice coil that is made from copper and aluminum. This is crucial since you don’t want a set of earbuds that are weighing you down. They work well for runners and people in motion, and they work in all weather conditions. The earbuds themselves are made from silicone, and this allows them to stay in place securely. There are a range of earbud sizes to fit the very small to very large among us, and you won’t find these slipping out as you move. The casing is made with aircraft-grade aluminum, and you simply can’t beat the quality and lightweight appeal. Sound response is even throughout all of the registers. There is also a slightly more expensive version of the model should you decide to break your $100 budget and upgrade. With these earbuds, you’ll hear things you never knew existed in your songs. These are truly premium-quality earbuds that compete with the top brands on the market. If you’re looking for a true value, this set of earbuds won’t disappoint. Etymotic is a name that is familiar to audiophiles, and the company established itself through its line of professional-level in-ear monitors. These are the ideal option for people who don’t need a microphone or remote. If you do want the remote and mic, you can upgrade to the MC3 for about $20 more. These earbuds offer professional-quality sound, and they fit will in the ears. They use rubber tips, and would work well for most active people. The vocals and mid-range are superb, and the highs avoid that tinny sound found in some lower-end earbuds. 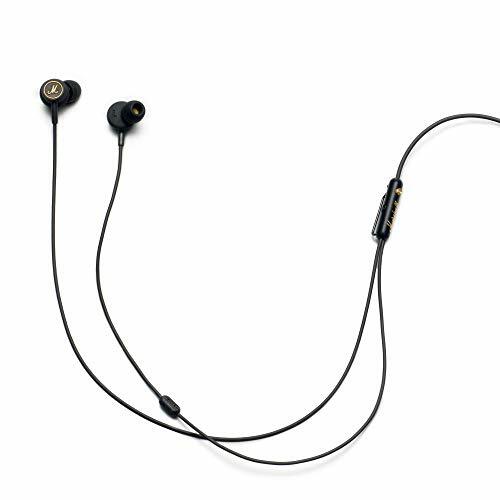 Overall, this set is a great value for those who want a truly affordable set of earbuds. 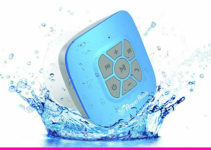 The Ten Best Bluetooth Shower Speakers 2019 – Singing in the shower just got better!